Now it’s easy to find out! Over half of Americans test positive to one or more allergens, and allergy symptoms are not always obvious. In addition, more than 50% of homes have at least six allergens present, not to mention everything outside, so it can be tough to pinpoint your problem. We offer a quick, painless skin test that can detect your allergies and a simple treatment that can relieve your misery for the long term! Call us now at (435)867-8719 to make an appointment for an allergy evaluation — and get better soon. Dr. Robert Pearson treats chronic allergy sufferers with Immunotherapy, which is a preventive treatment for allergic reactions to substances such as grass, tree & weed pollens, house dust mites, pet dander and mold. Immunotherapy is an effective therapy program that activates the body’s immune system to help build the patient’s immunity to their environmental allergies. 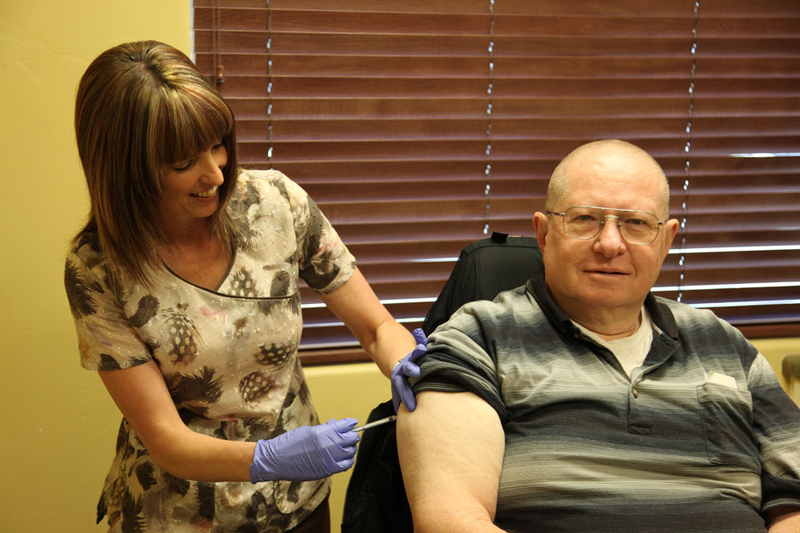 Immunotherapy typically offers long-term benefit for people’s symptoms.